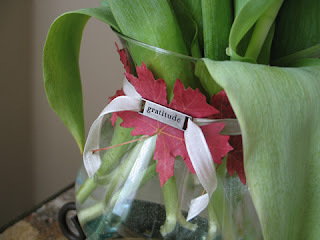 A Making Memories "gratitude" tag was just the thing for heading into the Thanksgiving season. A band of red maple leaves is held on to the vase neck with a simple white satin ribbon. 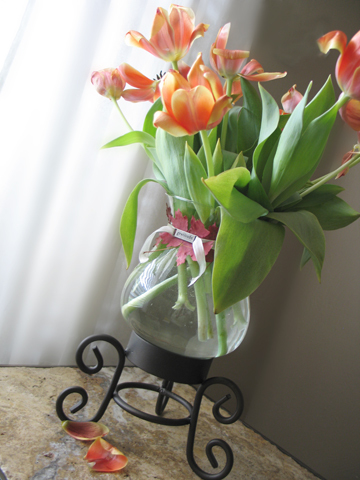 What a beautiful centerpiece that makes for a room :) I love incorporating elements from nature into home decor. And this is a great craft project to do with the kiddies! Thanks so much for stopping by on my SITS day and showing some love so that I could come by here and visit your lovely blog. Hope you're enjoying your weekend!